Sometimes, people talk a lot about popular subjects to assure ‘victory’ in conversation or understanding, and leave behind topics of less popularity, but great personal or intellectual importance. What do you think is important but under-discussed? 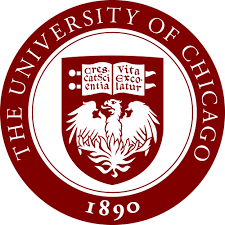 Due to a series of clerical errors, there is exactly one typo (an extra letter, a removed letter, or an altered letter) in the name of every department at the University of Chicago. Oops! Describe your new intended major. Why are you interested in it and what courses or areas of focus within it might you want to explore? Potential options include Commuter Science, Bromance Languages and Literatures, Pundamentals: Issues and Texts, Ant History... a full list of unmodified majors ready for your editor’s eye is available here: https://collegeadmissions.uchicago.edu/academics/majors-minors. Fans of the movie Sharknado say that they enjoy it because “it’s so bad, it’s good.” Certain automobile owners prefer classic cars because they “have more character.” And recently, vinyl record sales have skyrocketed because it is perceived that they have a warmer, fuller sound. Discuss something that you love not in spite of but rather due to its quirks or imperfections. In the spirit of adventurous inquiry, pose your own question or choose one of our past prompts. Be original, creative, thought provoking. Draw on your best qualities as a writer, thinker, visionary, social critic, sage, citizen of the world, or future citizen of the University of Chicago; take a little risk, and have fun.